" I would like to thanks Dr. Usha Jain & Dr Sonal Shah both for their time and effort to make me understand in detail how to balance between the proper food and the right kind of exercise needs to be done to lose body fat. As per the suggestion of Dr Viplav Sathyanarayana I went under few Fitness DNA Test. 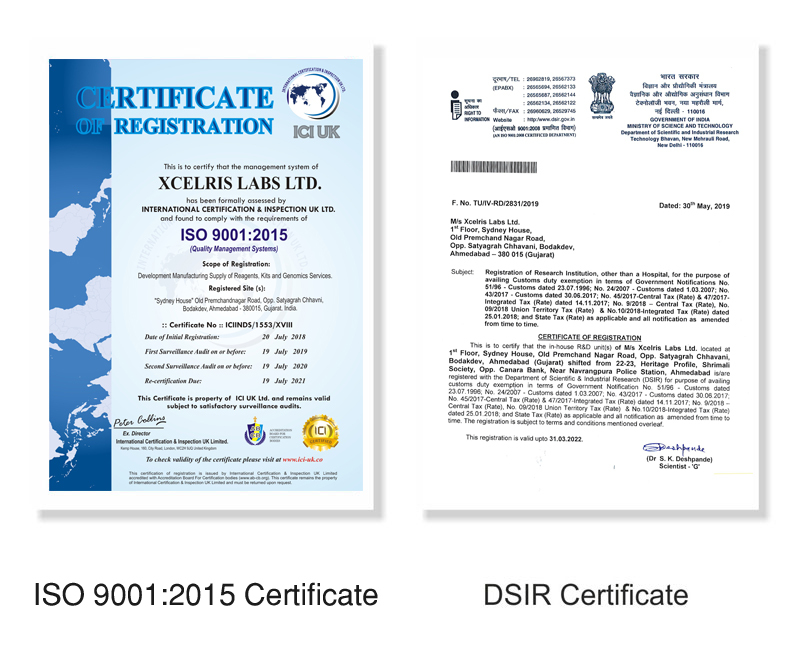 Xcelris Lab has provided me good efficient service, Excellent academic interaction from excellent team of young, doctors and generated excellent reports with classified details." " We have availed services from 'Xcelris Genomics' regarding generation of high throughput data such as RNA-seq (including sRNA), ChIP-seq and whole genome resequence on 'Next Generation Platform (Illumina)'. Their marketing as well as the technical team have a very professional approach and thus ensure a smooth operation of the project. Based on our own analysis we have always found that the data generated by their team is of high quality. Further, they have always ensured that the raw data is delivered within the accepted time-frame." " Xcelris has provided us good efficient service, Targeted turnover time for data generation, Excellent academic interaction from excellent team of young scientist and generated excellent reports with classified details." 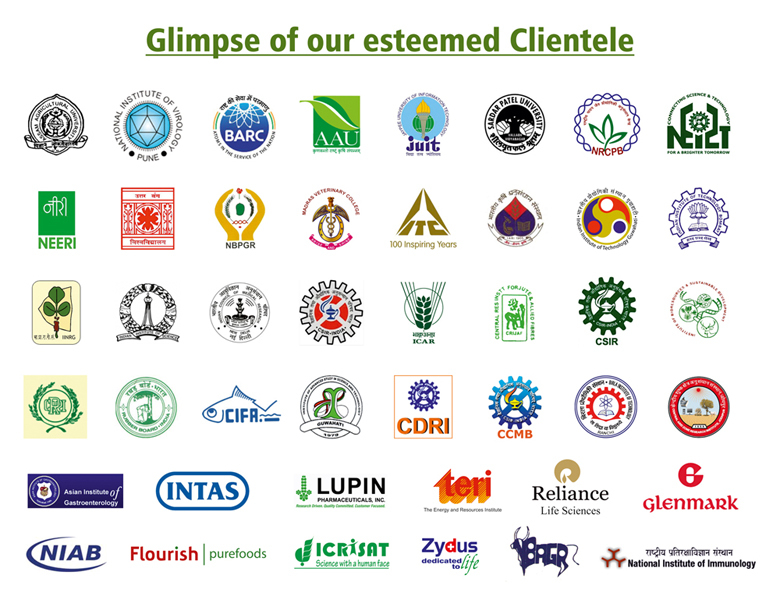 " Xcelris has given us excellent support. The tools they use are good, up-to-date and generate publishable data. But what I appreciate is the bioinformatic support they provide and help us analyze our data to our complete satisfaction. They provide assistance in sequence analysis, even after our project is ended which is commendable." " Xcelris has helped us in many ways including oligosynthesis and sequencing. Their NGS service is worth mentioning. The way they carry out the project right from sample collection till the bioinformatics analysis is commendabale. It helped us in identification of genes expressing in the lac insects." " Xcelris has enabled us to undertake genomics research in jute, which is characterized by least genomic information and resources, supported us to perform RNA-Seq and RAD-Seq leading to successful completion of all projects with desired results. Xcelris allowed is to participate in laboratory activities and bioinformatics analysis and provided us with high fidelity data and never hesitated doing extra work beyond the scheduled plan of work according to orders placed, they also accommodated our students in the lab for advanced training and fostered meaningful scientific/technical relationships with warm relationship." " Xcelris maintain very good client relations that helps to solve problems of clients. 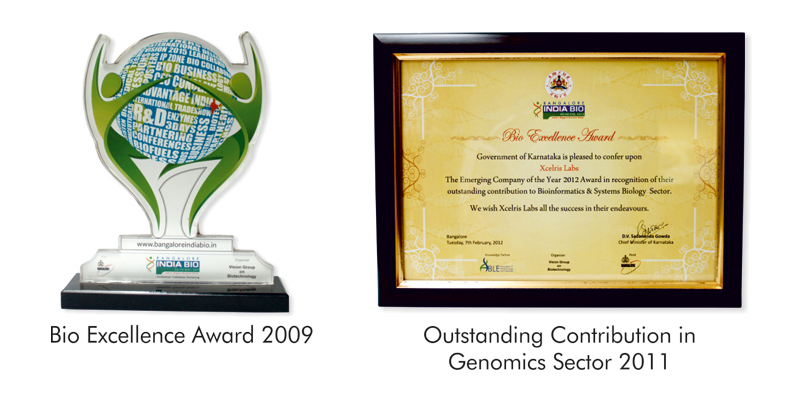 They are highly trust worthy partners one can think of for research in Genomics. They maintain at most confidentiality of data and other issues." " This is in response to the successful completion of NGS Project on OOCYTE transcriptome. I must congratulate Xcelris and you all for coming forward for such a technically challenging task. We are particularly happy for the efforts, concern and support you all have shown for the project." " We used plant gDNA isolation kit for extraction from sugarcane and tobacco leaves. We recieved very good DNA yield in terms of quality and quantity."